GoPro Session adapter for the Zhiyun-Tech Smooth-Q gimbal #3DThursday #3DPrinting « Adafruit Industries – Makers, hackers, artists, designers and engineers! Zhiyun-Tech Smooth-Q gimbal works great for smartphones, but I wanted to use it with my GoPro Session. 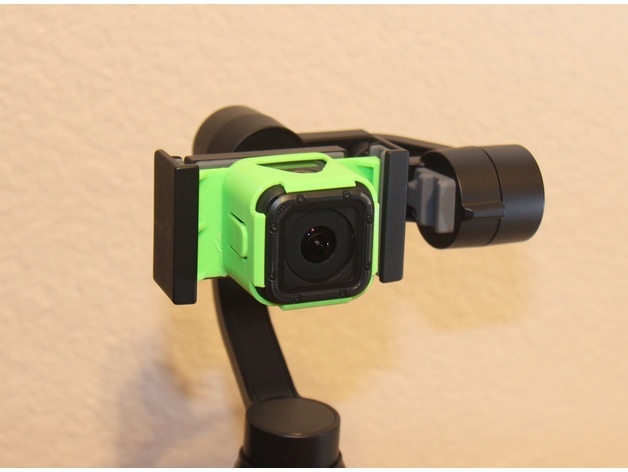 This adapter will allow you to use your GoPro Session with your Smooth Q gimbal. The adapter has a cut out so the camera door can be opened to charge the camera while mounted.